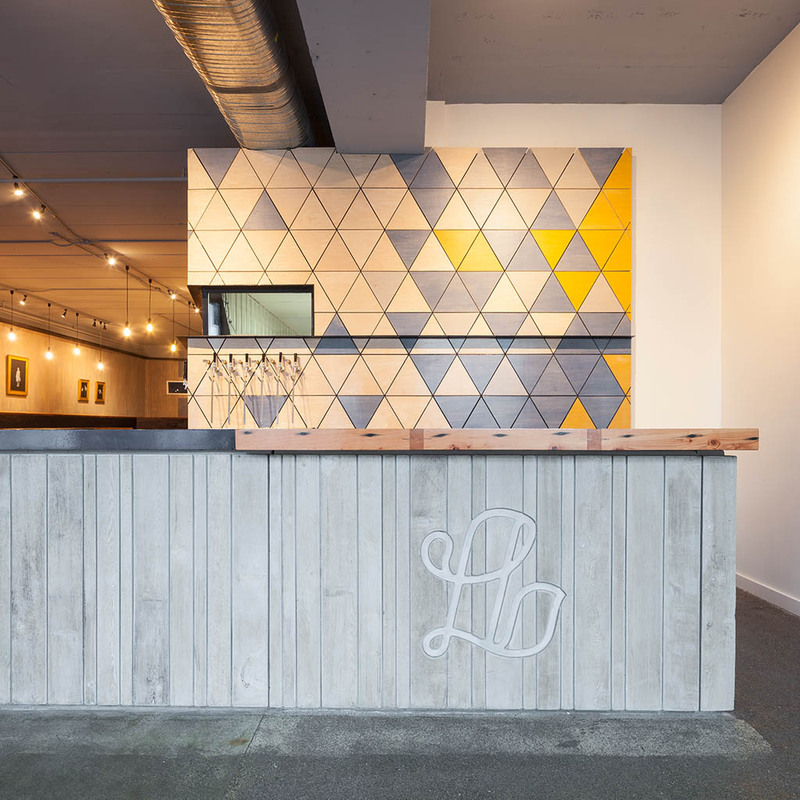 Ron Hart Architect invited us to collaborate on the interior design of Luppolo Brewing Co.’s new lounge and retail space. 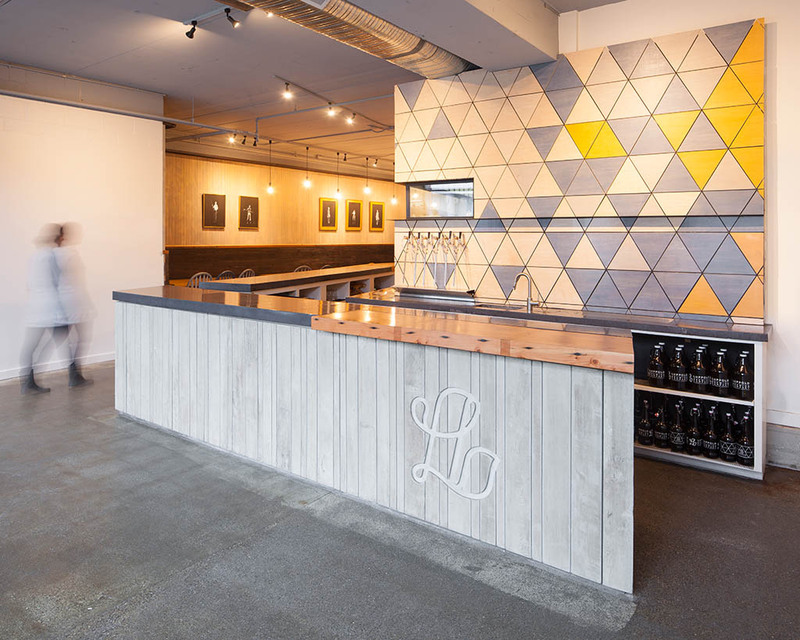 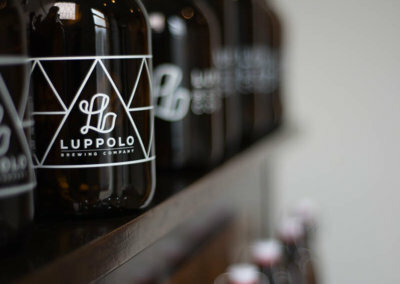 As lovers of craft beer, especially Luppolo’s tasty brews, the decision was an easy one. 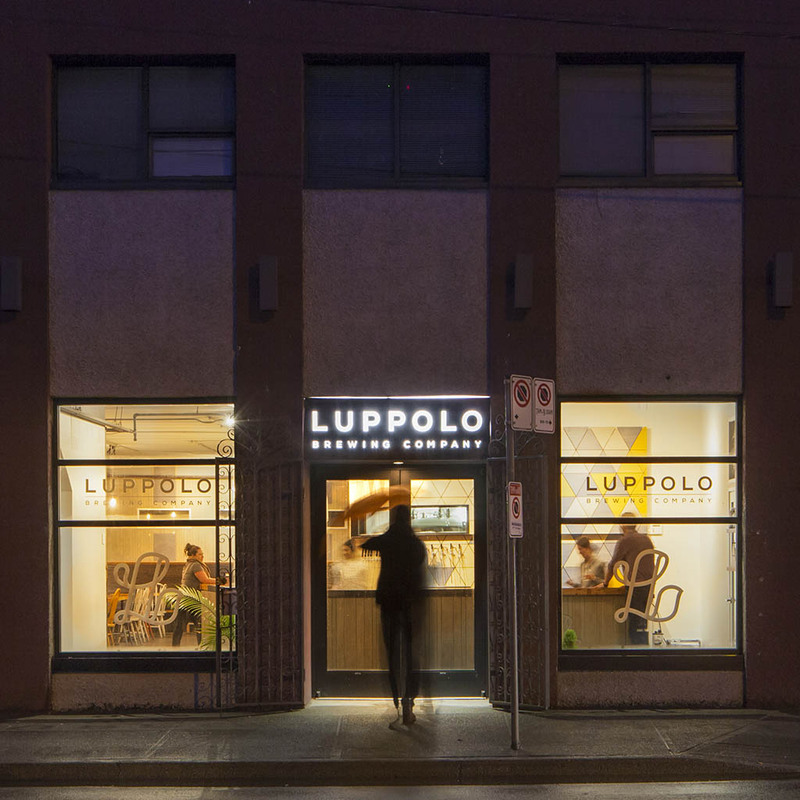 Construction is underway, and Luppolo will be opening in Summer/Fall 2016 at 1123 Venables Street, just 7 blocks west of Commercial Drive. 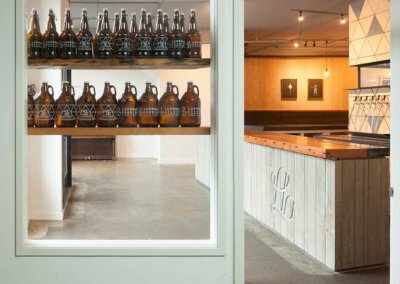 It is also easily accessed by a secret little door off of the Union Street bike path. 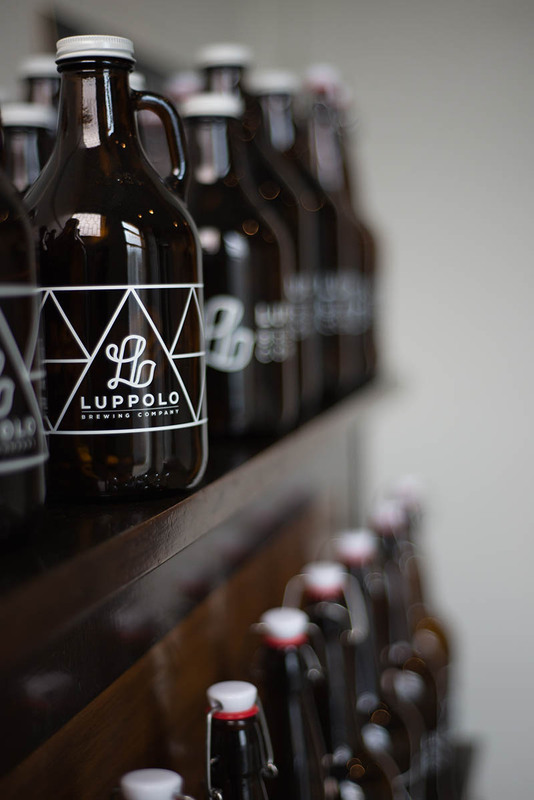 Luppolo (pronounced loop-o-lo) is ‘hops’ in Italian. 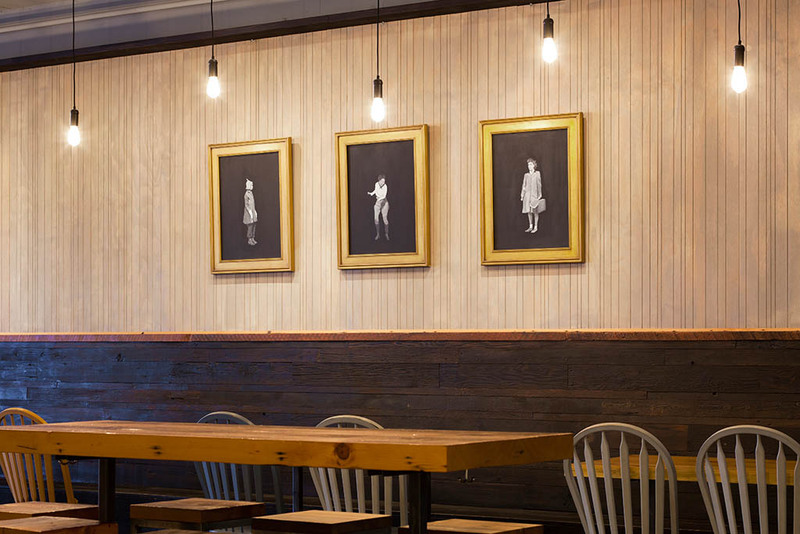 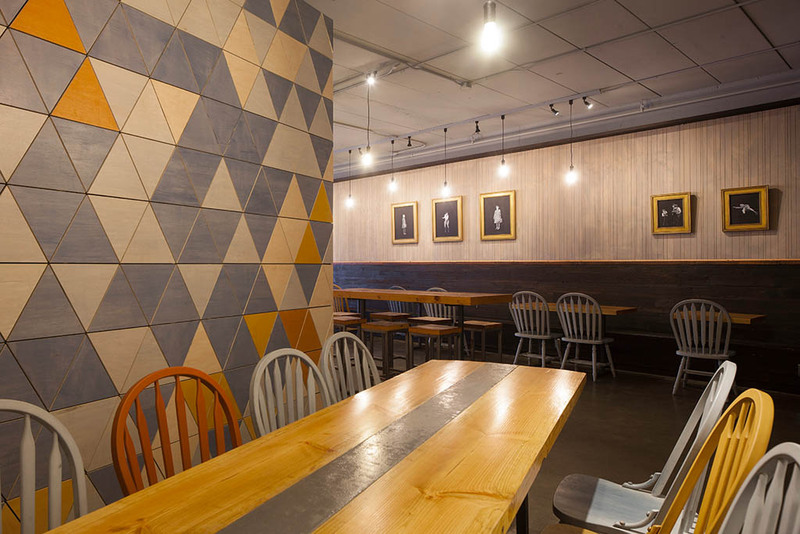 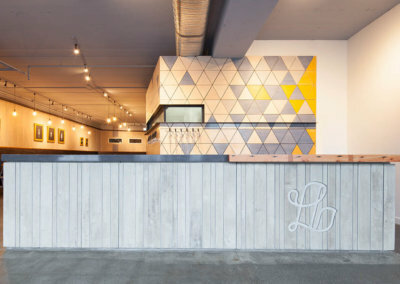 Luppolo’s tasting lounge and retail space is designed to be warm, cozy, and welcoming. 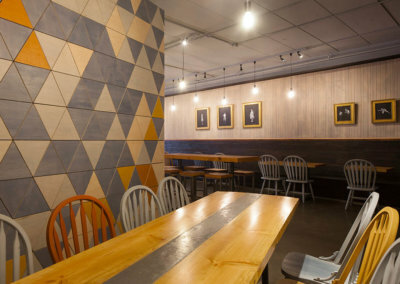 It is a place to gather and that engages with the community. 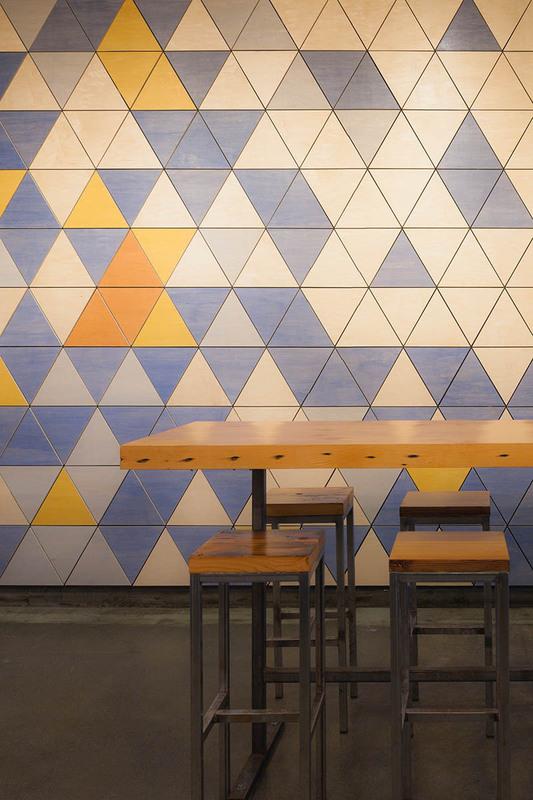 A modern design that blends West-Coast architecture with a nod to the ‘Old World’. 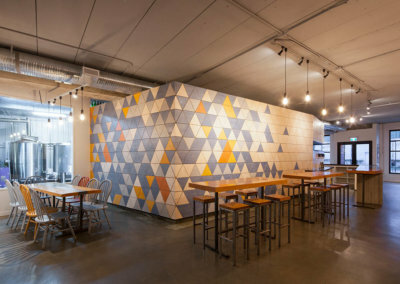 A space that blends concrete, clean lines cut from salvaged lumber, and pops of mid-century colours. 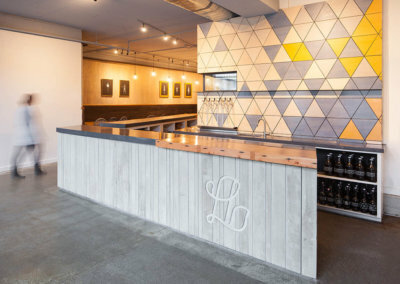 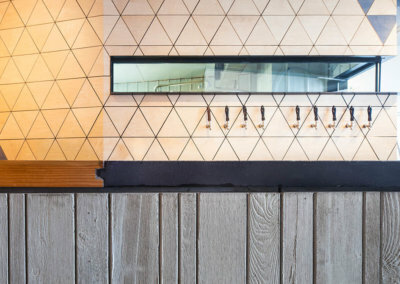 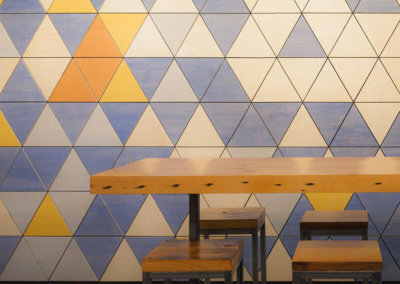 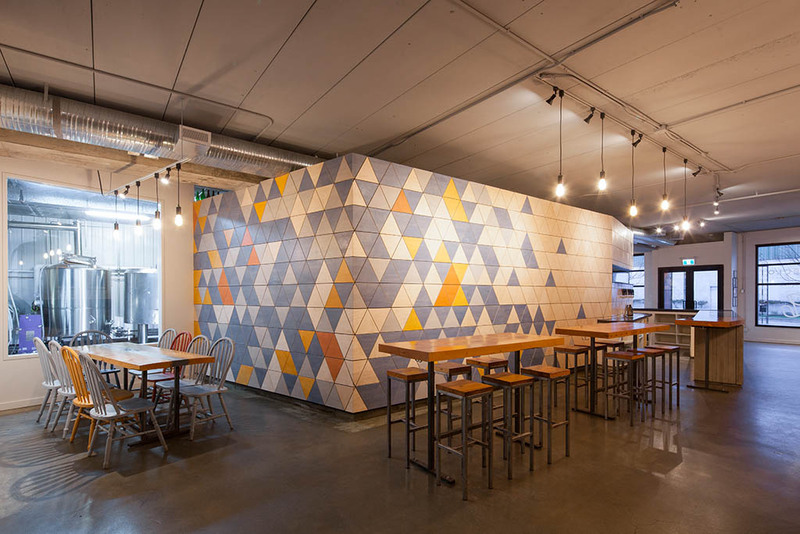 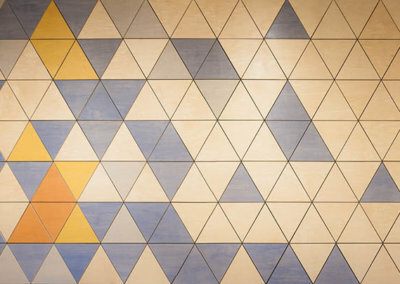 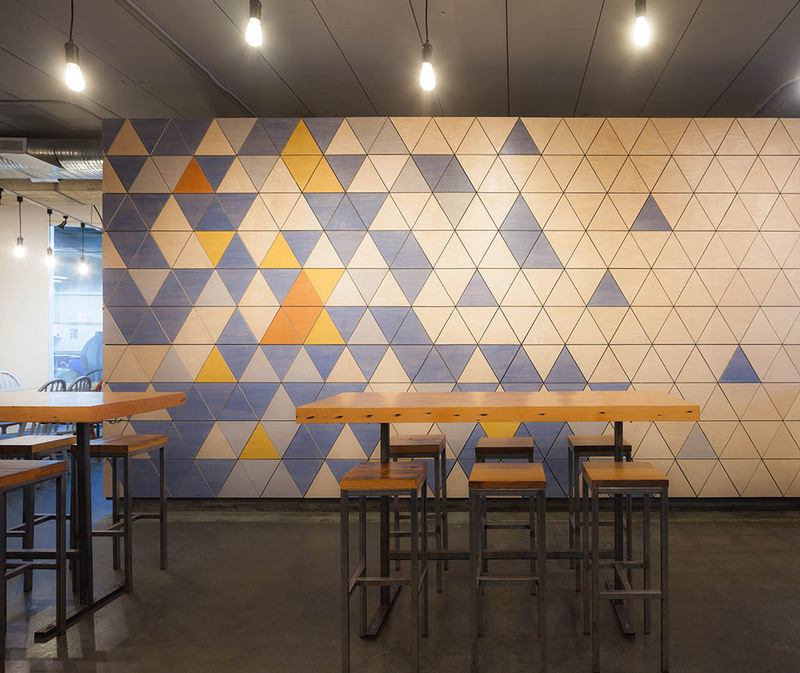 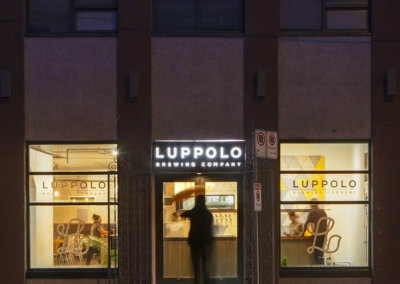 The design represents Luppolo’s unique aesthetic and tells their story. 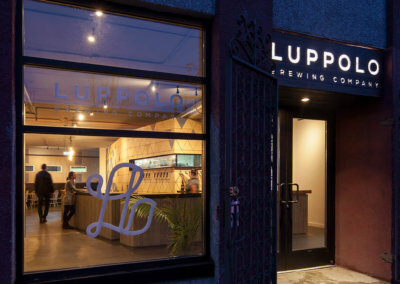 Luppolo’s brewery is located in the Powell Street / Clark Drive Industrial Lands, and is zoned I-2 (Industrial) by the City of Vancouver. 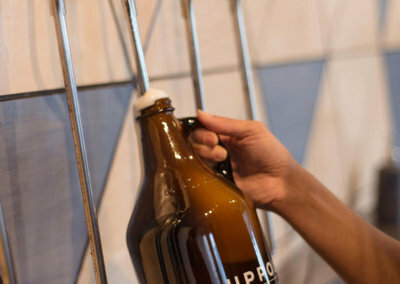 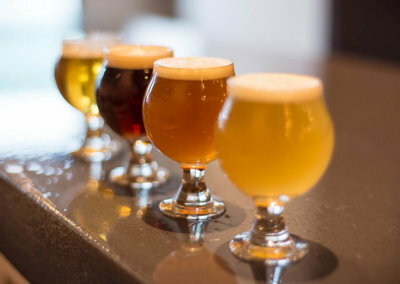 On July 9, 2013, Vancouver City Council enacted a bylaw allowing Lounge Use accessory to Brewery or Distillery Use in the I-2 zone, creating the opportunity for craft breweries to serve customers at their breweries. 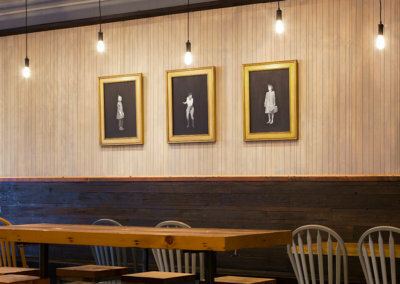 I think this is change that we can all be grateful for! 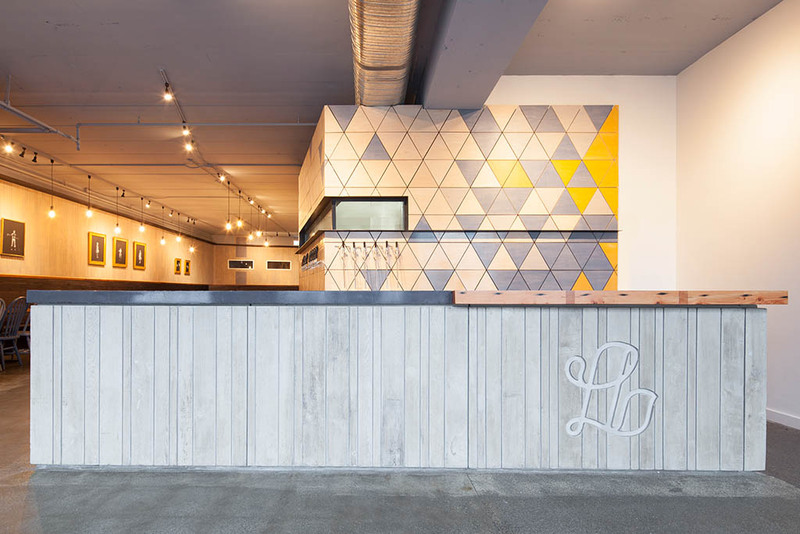 Luppolo’s new space is quite large, at 4 575SF. 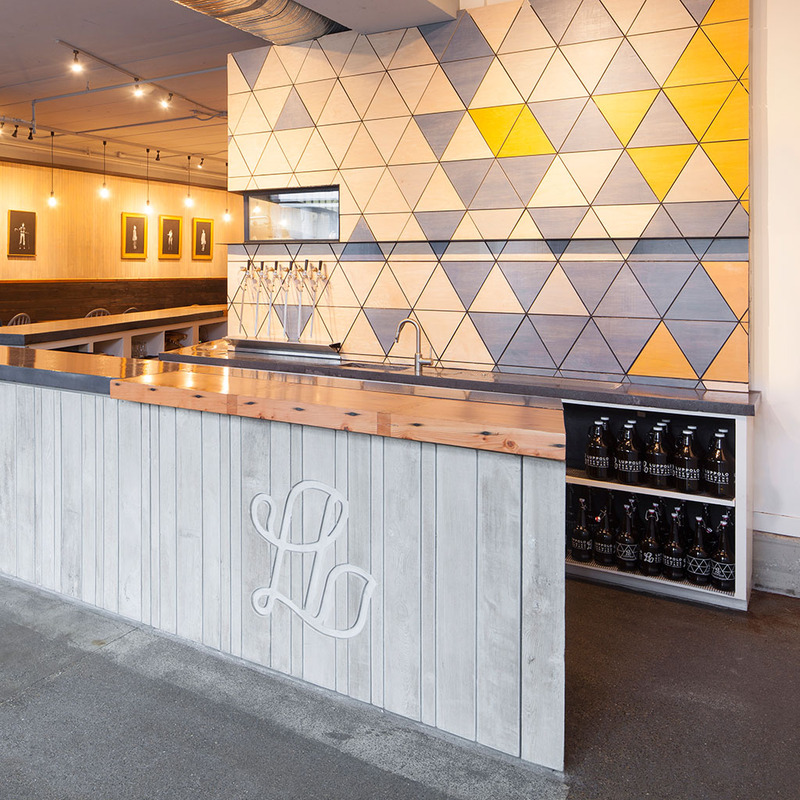 The tasting lounge is a comfortable 860SF, the maximum allowable as per the bylaws, and the combined retail and lounge space measures 1 215SF, just under 33% of the full floor plan. 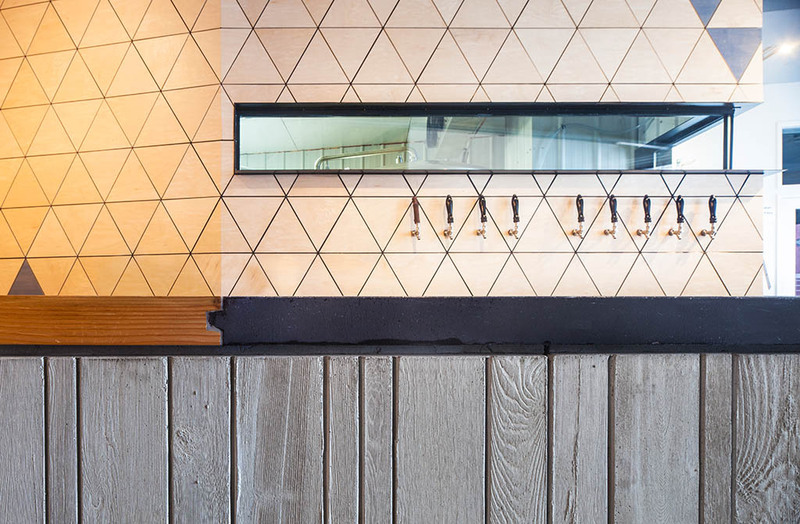 An angular plan which wraps around the dramatically clad cold storage cooler makes the lounge space feel larger, and creates pockets for large or small gatherings. 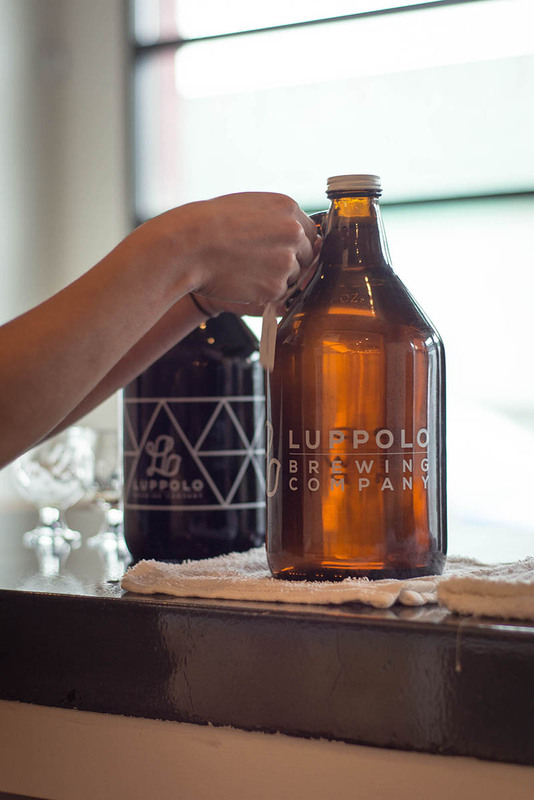 We chose an Italian name because of the Italian heritage of two of our owners, but also because many of the values associated with Italian culture – quality, craftsmanship, community and family – really fit with what we’re trying to create at our brewery. 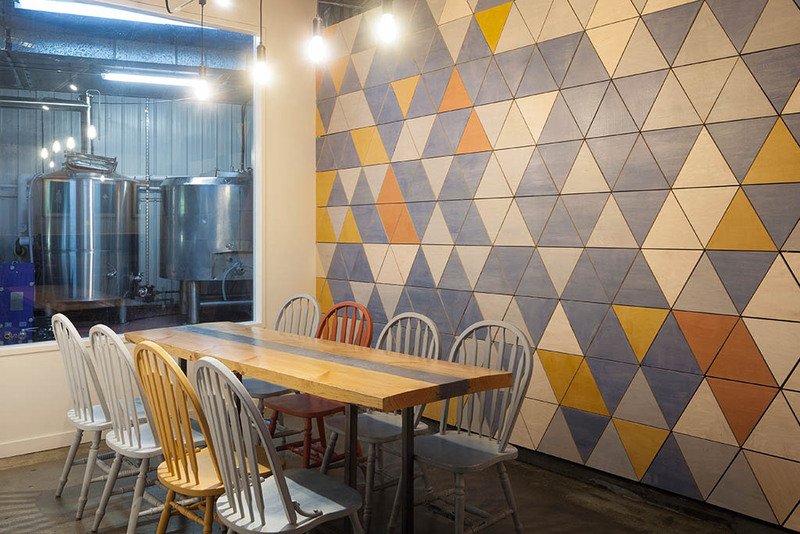 For us, our beer is equally as important as the environment we create in our lounge. 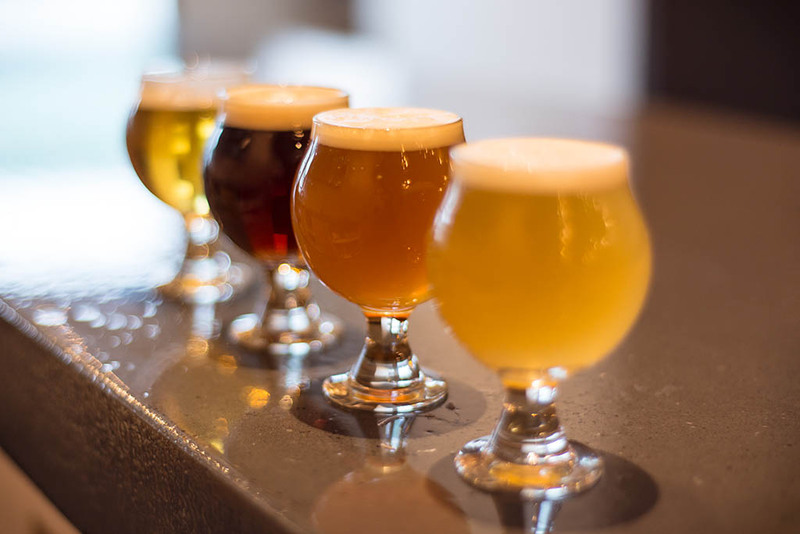 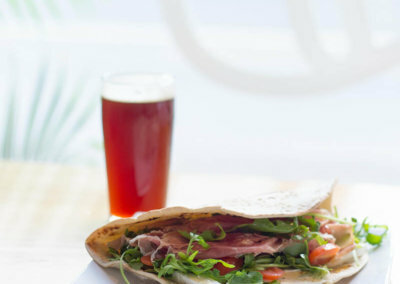 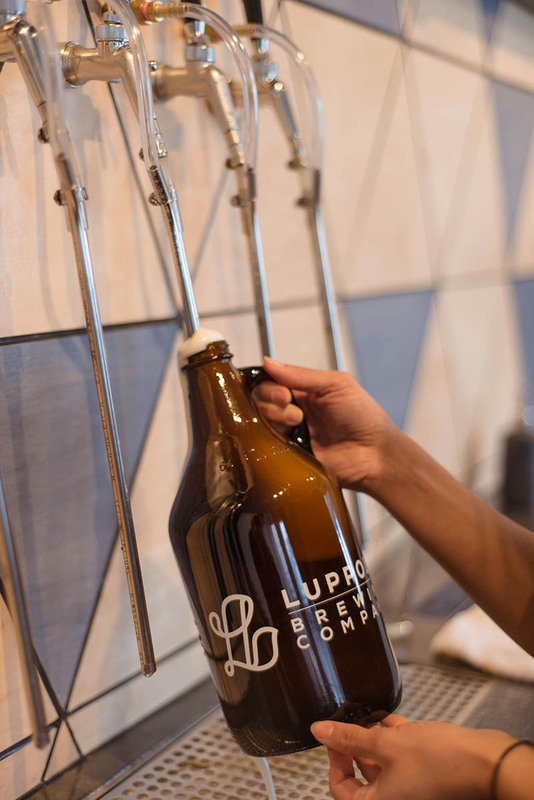 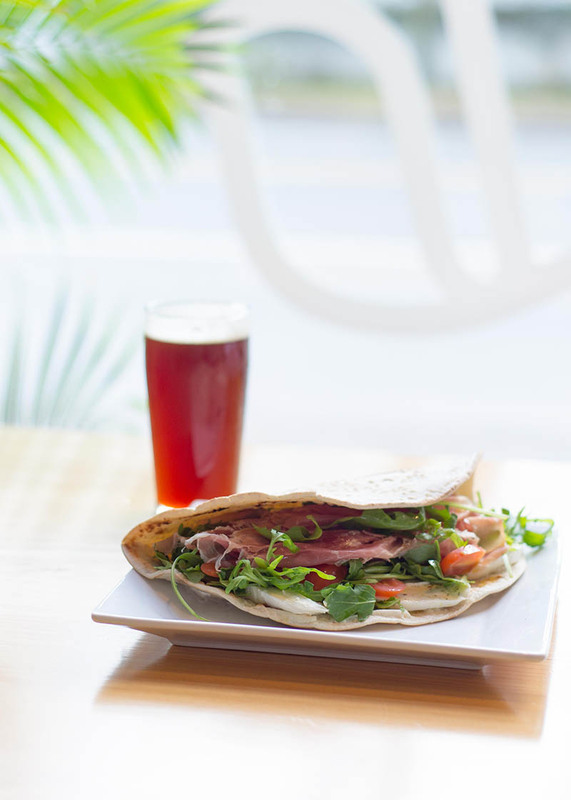 When you come to Luppolo Brewing Co. we want you to enjoy quality, craft beer and delicious food in a warm and welcoming environment that feels like your home away from home. 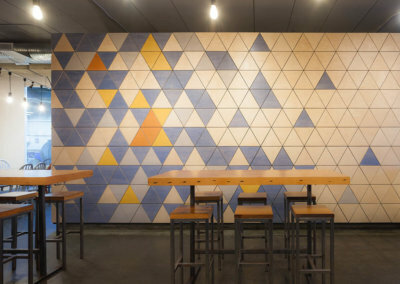 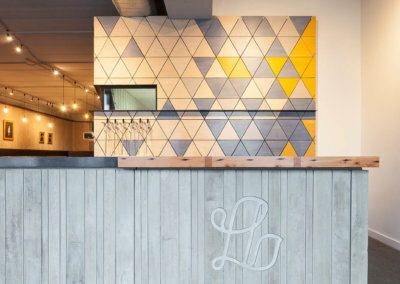 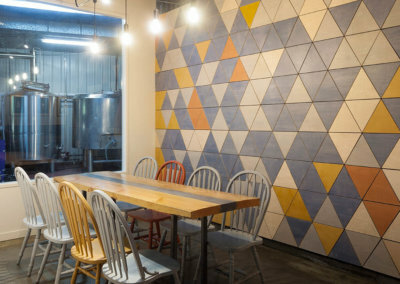 Ron Hart Architect invited us to collaborate on the interior design of Luppolo Brewing Co.‘s new lounge and retail space. 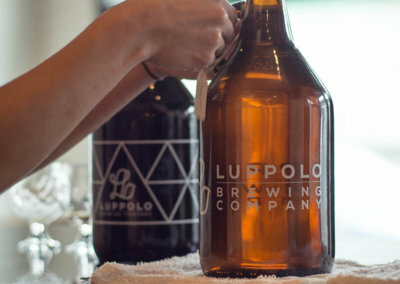 As lovers of craft beer, especially Luppolo’s tasty brews, the decision was an easy one. 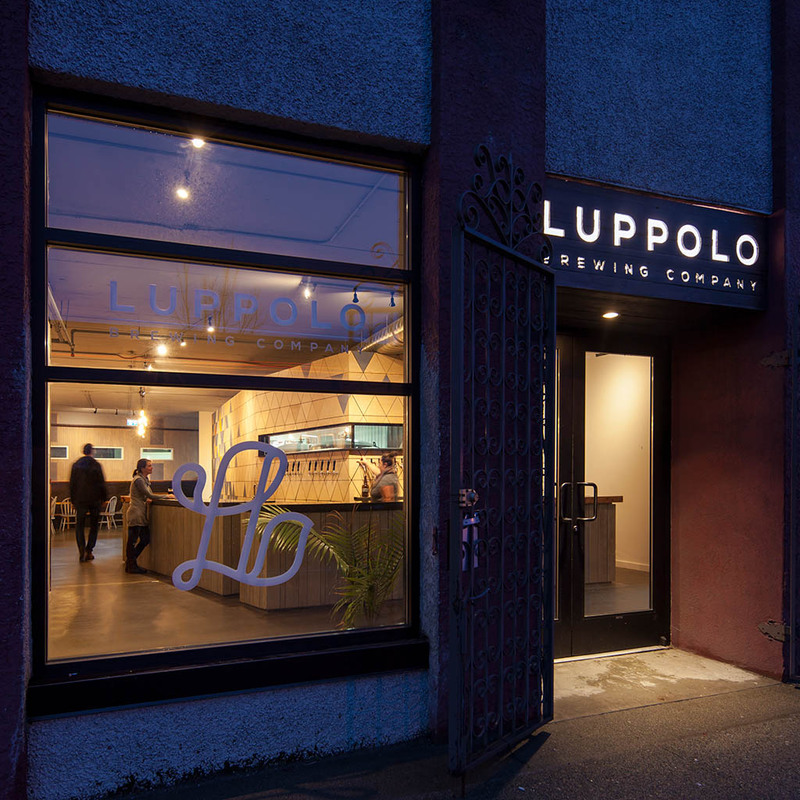 Construction is underway, and Luppolo will be opening in Summer / Fall 2016 at 1123 Venables Street, just 7 blocks west of Commercial Drive. It is also easily accessed by a secret little door off of the Union Street bike path.